There would be a food selfie but it was all eaten up. All gone! 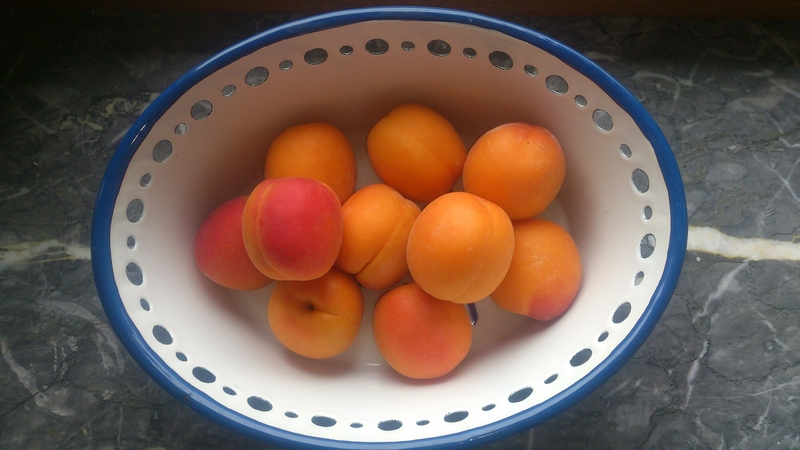 Apricots are beautiful and delicious. This recipe displays them to their best advantage in simplicity with few added ingredients: just butter, sugar, pastry. Recipe: prep time 10 minutes. 1 hour chilling/resting time. 40 minutes baking time. 2. Make shortcrust pastry in your usual way (220g plain flour, 100g butter, tablespoon of sugar, drop or two of ice cold water). 4. Roll out and place in a buttered flan dish. 5. Cut about 7 apricots in half and dab a wee bit of butter into each of them in the depression where the stone used to be. 6. Sprinkle with sugar. As much or as little as you please. 8. Bake for 40 minutes at pastry heat. 9. Serve lukewarm with single cream.